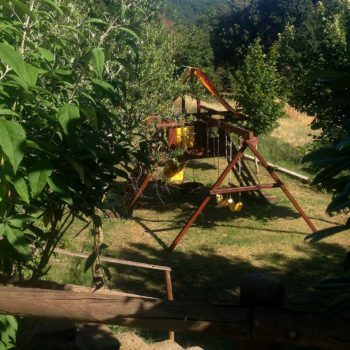 The farm is located in a dominant position on a hill at an altitude of about 700 meters. above sea level. The structure is part of the farm with 100 hectares of land largely forested in which is inserted this “borghetto” composed of two neighboring farmhouses that once were one the manor house of the family owning the farm, the other the family house of workers (even if in the half-cut Marche model both families worked together). 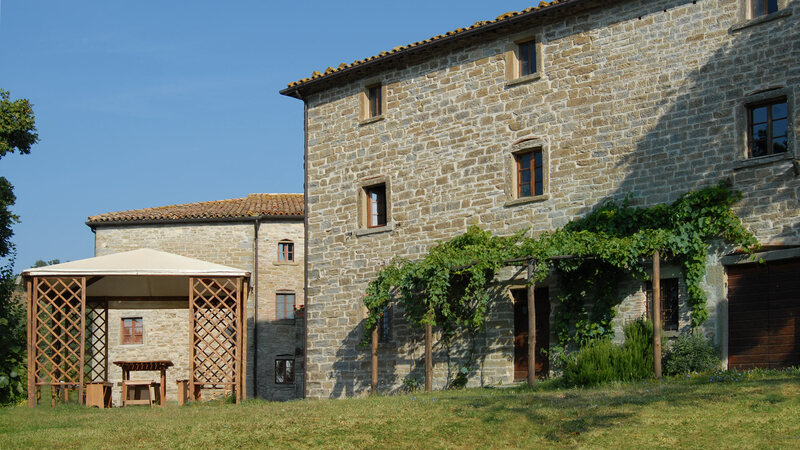 The farmhouse occupies only one of the two farmhouses and consists of 3 spacious apartments for a total of 23 beds, absolutely complete with all the equipment and comforts needed to enjoy a relaxing holiday. While maintaining the authentic and typical appearance of the farmhouses traditionally present in our area (farmland sharecropping), the structure (interior and exterior) have been carefully restored to bring comfort and furnished with simplicity and taste, even with the use of ancient furniture and materials from the place.